Where compassion and care join – is our pledge and promise. As the premier skilled nursing facility in Lawndale, Chicago, Little Village Nursing and Rehabilitation Center provides compassionate and personal skilled care 24 hours a day. We specialize in providing rehabilitation services onsite to help our residents regain their independence and return to their homes. Little Village Nursing and Rehabilitation Center sits in a residential neighborhood in Chicago’s beautiful southwest side just minutes from the heart of the city. We offer easy access to Chicago’s finest medical services. We understand that the transition to a skilled nursing facility is challenging. We strive to ease the process by providing an environment where residents and guests feel informed and comfortable. It is our goal to improve the physical, emotional and spiritual wellness of our residents, and that is exactly what we do – every day. We believe that life can be rewarding and meaningful at every stage of life. 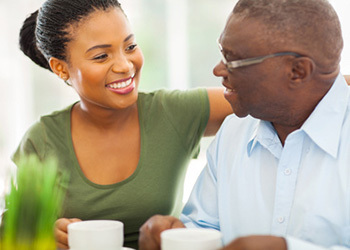 Therefore our programs offer a wide array of services specifically developed to assist each resident in reaching their highest level of independence. With a number of services and experienced healthcare providers, we can tailor a program specifically for the needs of each client. Visitors are welcome every day of the week. Come to see our residents and friendly staff in action. Feel free to contact us to learn more about the unique, sophisticated healthcare environment at Little Village Nursing and Rehabilitation Center.